ABS and PLA filaments are widely known in the 3D printing universe, but there are important advantages of PETG filament in 3D printing that are causing it to quickly growing as a popular option for builds. The properties of PETG make it an appropriate choice for producing a vast array of impact-resistant and flexible items. PETG is a modified form of polyethylene terephthalate (PET), a thermoplastic widely used in plastic bottles. 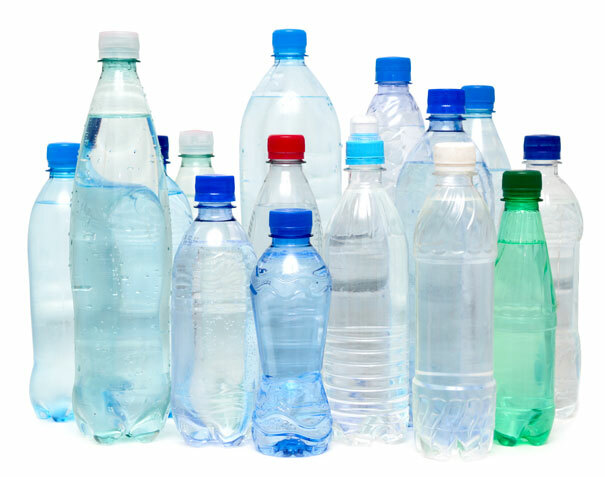 In fact, 43 percent of U.S. soft drinks are delivered in PET bottles. Gl ycol-modified PET (PETG) is an increasingly popular filament material because it’s more durable than common alternatives. The addition of glycol prevents crystallization so it won’t become brittle when heated. PETG is a highly transparent co-polyester that can be dyed as required. It is possible to produce brightly colored, translucent prints with a nice, glossy finish with minimal post-processing. Finished prints are pliable and more impact-resistant. In fact, PETG is flexible enough that it is virtually unbreakable in the layer direction. Excellent layer adhesion translates into improved surface finishes. Low shrinkage means it is often a good choice for printing larger items. PETG is worth considering any time your 3D print needs to be tough, durable, flexible and impact-resistant. It is ideal for use in the production of a wide array of mechanical parts. The rapidly expanding robotics technology sector is also embracing PETG printing. The smooth finish of PETG prints, and the fact that the plastic is FDA-compliant makes it an appropriate choice for printing creative and/or intricate kitchenware designs. You are really only limited by your imagination. Enterprises looking for a filament that will produce translucent, shatter-resistant items like phone cases will also want to take a close look at using PETG filament. PLA/PHA filament — Polylactic (PLA) is a biopolymer commonly derived from cornstarch and sugarcane. PETG print speeds are similar to those of PLA, although the melting point is higher. Like, PETG, PLA and PHA filaments are relatively easy to use. However, PETG is denser (1.38g/cm3). 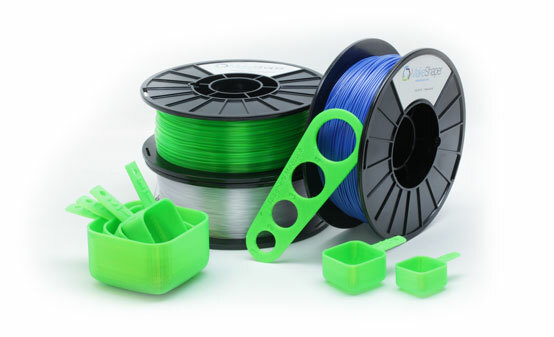 ABS filament — Acrylonitrile-Butadiene Styrene (ABS) is temperature-resistant like PETG. While ABS is harder, PETG is more flexible and more durable. PETG is odorless during printing, while ABS emits a noticeable odor. TPU filament — Thermoplastic Polyurethane (TPU) is not as dense as PETG; the density of flexible TPU filament is just 1.21g/cm3. The chemical resistance of TPU is good, while the chemical resistance of PETG is excellent. Once you do the math, you’ll see that PETG can be a high-quality, cost-effective alternative to these other filaments. One of PETG’s virtues is that it is recyclable. It is different from many other plastics because its polymer chains are readily recovered for future use. PETG can be recycled for use as a gas barrier. Its chemical resistance makes it a good barrier when used with solvents and alcohol. Be sure to always check with your local recycler for their rules and regulations on what you can bring and what they can recycle. We here at MakeShaper are excited to launch our line of PETG filaments. Available in two diameters and a dozen colors, our filaments provide superb extrusion every time, in every project. We also offer a wide range of made-in-the-USA filaments in a spectrum of deep, saturated colors and full range of diameters and spool sizes. Crafted in Sanford, North Carolina, from high-purity raw materials, MakeShaper makes high quality performance filament so you can make anything!